As a company that built its name upon reliability, and helped pioneer the first waterproof wristwatch, Rolex has a long history of manufacturing dependable timepieces for active individuals with adventurous lifestyles. 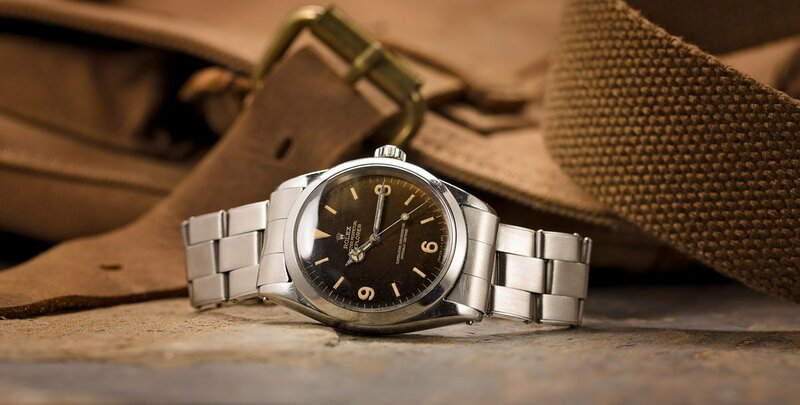 While much of the attention these days is placed on their premium, highly specialized professional watch lines, the Explorer was Rolex’s first sports watch that was designed to survive anything its owner might encounter. 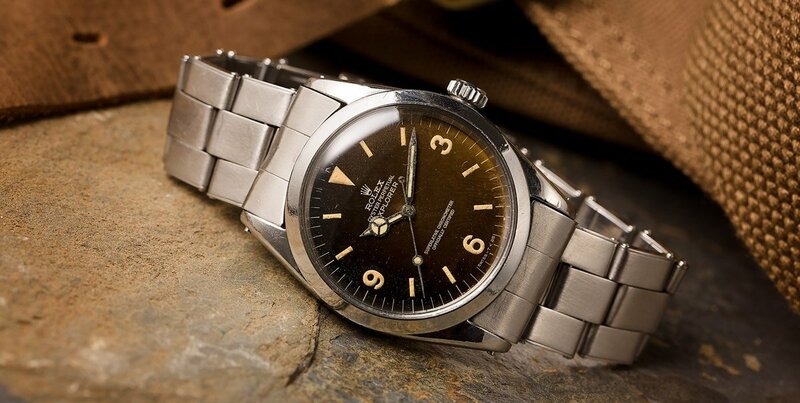 A vintage Explorer 1016 is an amazing timepiece for its reliability. Originally introduced to the public in 1953, Rolex released the Explorer to commemorate Sir Edmond Hillary’s successful summit of Mount Everest. The original Explorer was nothing more than a straightforward and well-built sports watch with temperature–resilient lubricants that allowed it to operate accurately under conditions ranging from -4° to +104° Fahrenheit. Despite the various changes and updates to the Explorer throughout the years, the watch has stayed remarkably true to its roots and still adheres to a minimalist design and feature set. While some may believe the Explorer 1016 is not a fancy watch, it certainly embodies the sense of adventure. 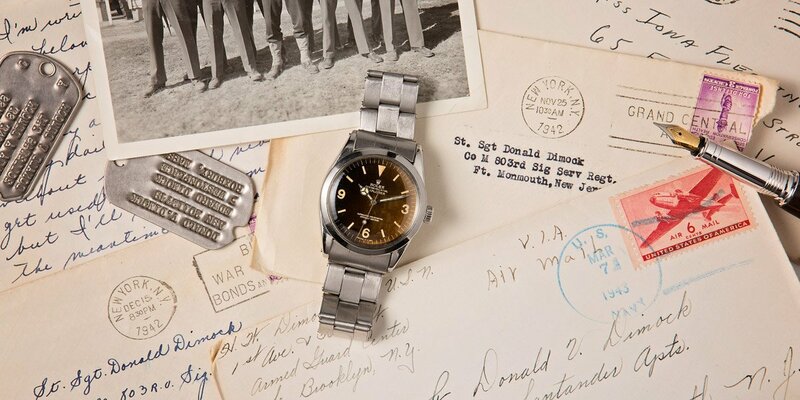 Ten years after the initial introduction of the Rolex Explorer line, Rolex released the reference 1016. Based around Rolex’s new self-winding, Caliber 1560 movement, the 36 mm stainless steel case with screw-down crown and case-back saw water resistance increase to 100 meters. Production lasted for over a quarter of a century, until it was discontinued in 1989 with the introduction of the reference 14270. Due to its incredibly long production run, the reference 1016 Explorer was fitted with both gloss and matte dials. Early examples were fitted with glossy gilt dials; however it was a common practice for Rolex service centers to replace these dials with the later-era style of matte dial when watches came in for regular service or repair. Similarly, the reference 1016 Explorer was fitted with both Caliber 1560 and Caliber 1570 movements – a change that was made during the mid 1970s. 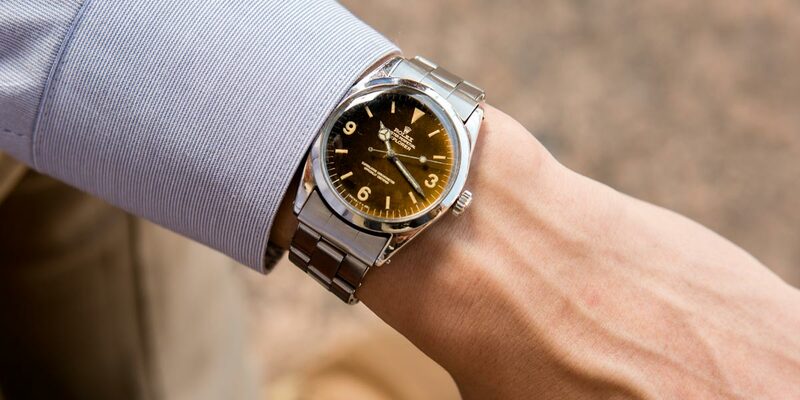 There are versions of the Explorer 1016 with a matte dial and others with a glossy finish. 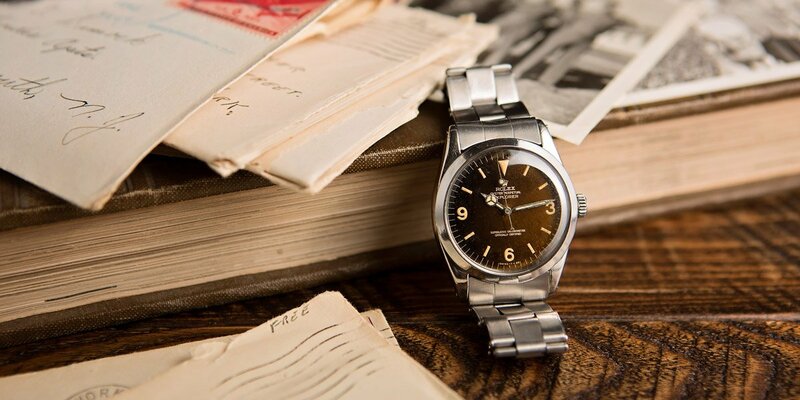 For many Rolex collectors, the reference 1016 is the classic vintage Explorer. Although it was not the very first Explorer reference that Rolex manufactured, the remarkably long production run and timeless design of the reference 1016 has made it the go-to watch for those looking for a vintage example of Rolex’s legendary Explorer line. Since its inception, the Rolex Explorer has always adhered to a minimalist philosophy of the bare essentials – perfectly executed – with no extraneous details or features whatsoever. There have never been any dial color or bracelet options, no day or date complications, and stainless steel is the only material from which the Explorer has ever been manufactured – no gold, platinum, or two-tone (Rolesor) options exist. As you can see the Explorer 1016 is a simple watch with limited functionality. The most recent incarnation of Rolex’s Explorer has seen its case size increase from 36 mm to 39 mm in diameter; however many consider the original 36 mm diameter of the reference 1016 to be the classic size of the Rolex Explorer. 36 mm is a highly versatile size for a watch, which allows the reference 1016 Explorer to look at-home on a wide variety of different wrist sizes. Both Rolex’s Datejust and Day-Date lines of watches have traditionally have had a case diameter of 36 mm, and rarely look out-of-place on even the largest or smallest of wrists. Even at a quick glance, the painted hour markers and extra-thick acrylic crystal give the reference 1016 an unmistakably vintage look and feel. One of the reasons why collectors appreciate the Explorer line is due to how little the overall appearance of the watch has changed throughout the years. The dial of the reference 1016 closely resembles the dial that was fitted to the very first Rolex Explorer; however it also resembles the dial that can be found inside Rolex’s most recent rendition of the Explorer. This timeless design allows the reference 1016 to be a distinctively vintage watch that is simultaneously still very contemporary in its overall design and appearance. The value of this watch can vary by condition. Since the reference 1016 Explorer is a vintage watch, brand-new examples have been unavailable from authorized dealers for decades. Although the pre-owned market is now the only place to find a reference 1016 Explorer, examples can still be found in pristine and unworn condition. Due to its long production run and the resulting variations in dials and movements that were fitted to the reference 1016, prices can range dramatically depending on the individual watch and its overall condition. When attempting to verify the authenticity of a reference 1016 Explorer, age and condition should always be taken into consideration. Even an unworn example of a reference 1016 should look somewhat old since the watch left the factory (at minimum) over a quarter of a century ago. Although vintage watches can sometimes be more complicated to authenticate, all of the usual rules of examining the dial, the reference and serial number engravings, the bracelet (and its accompanying markings), and (if possible) the movement, still apply. How certain are you with your Rolex’s authenticity? Although authenticity is paramount, the primary concern when purchasing vintage Rolex is the condition and originality of the watch. Two reference 1016 Explorer watches can both be authentic and both have similar amounts of physical wear; however if one has had its dial refinished and its hand set re-lumed, it will sell for significantly less than the other at auction. Additionally, early examples of the reference 1016 Explorer that still have their glossy gilt dials will generally sell for more than their later-era matte dial counter parts, simply because fewer were manufactured, and even fewer have managed to survive to this day. The reference 1016 Explorer tells its owners nothing more than the time of day; and it lacks any unique features or complications that would make it specifically well suited for one particular sport or environment. Instead, the reference 1016 is a watch that was designed to quietly and reliably handle any conditions its owner might encounter. Although Rolex continues to update the Explorer line as better materials and technologies become available, the reference 1016 remains among the most iconic vintage Rolex watches of all time, and represents a classic example of the original Rolex sport watch.